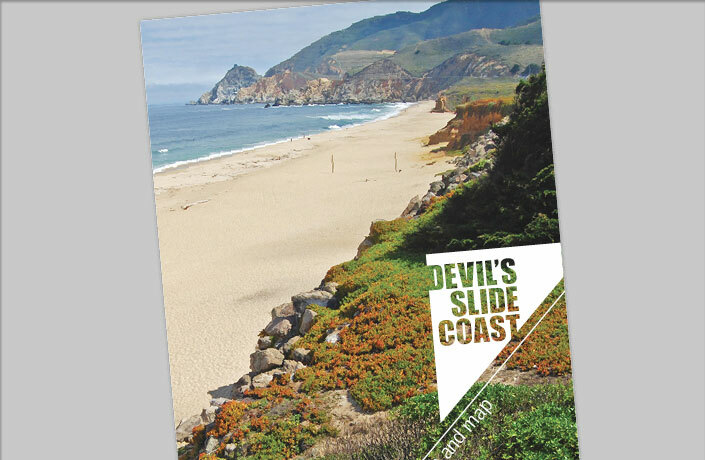 The Devil’s Slide Coast is a collection of protected lands and marine areas located just south of San Francisco, spanning from the town of Pacifica to Half Moon Bay and the Mavericks surf break. 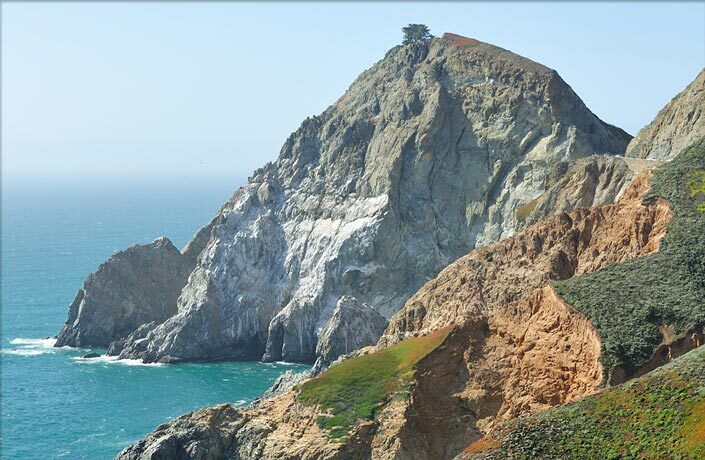 This ruggedly beautiful area features miles of hiking trails, dramatic bluffs and vistas, surfing and fishing opportunities, as well as a new section of cliff-hugging California Coastal Trail. 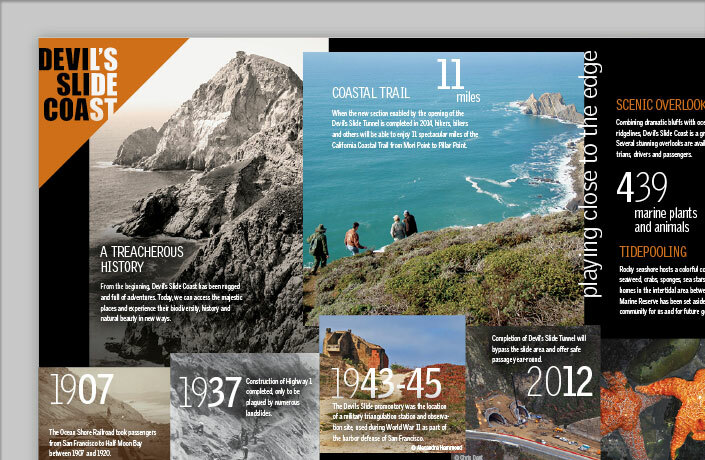 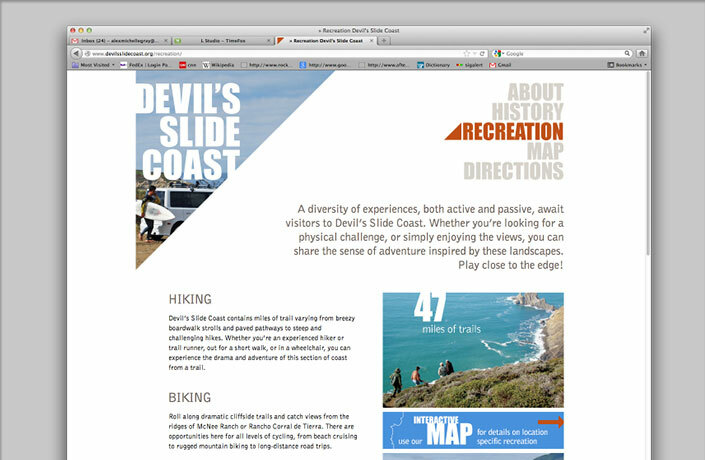 In 2012, a 7-agency collaborative including the National Park Service, California State Parks, San Mateo County Parks, California Coastal Conservancy, Golden Gate National Parks Conservancy, Midpeninsula Regional Open Space District, and Peninsula Open Space Trust retained L Studio to create a name, brand identity, website and print communications to create a coherent sense of place for this unique patchwork of public lands. 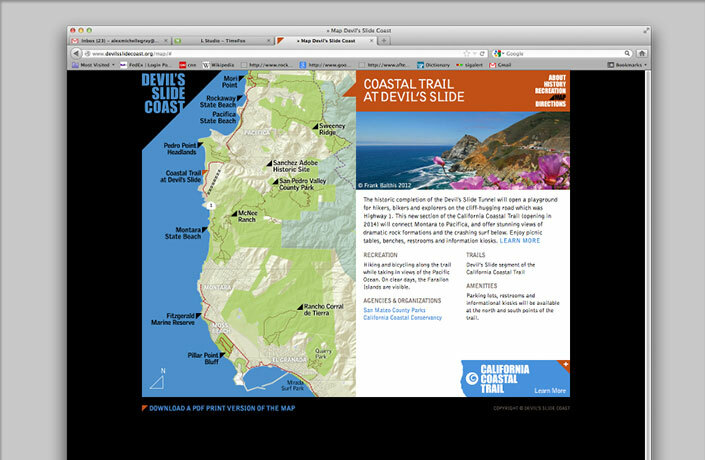 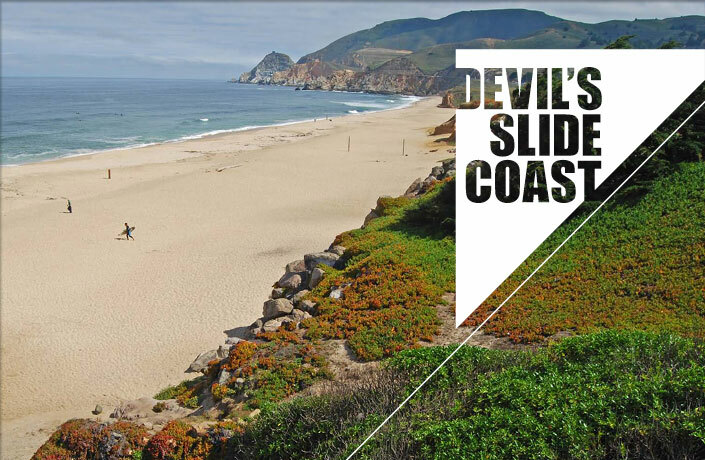 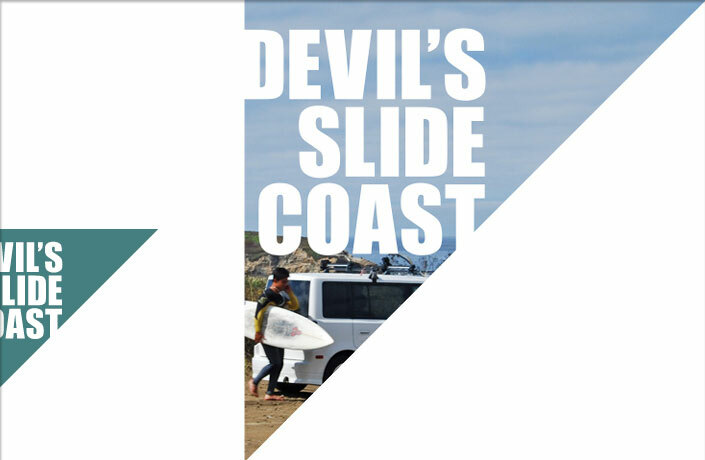 The identity for Devil’s Slide Coast was inspired by the dramatic landscapes of the area. 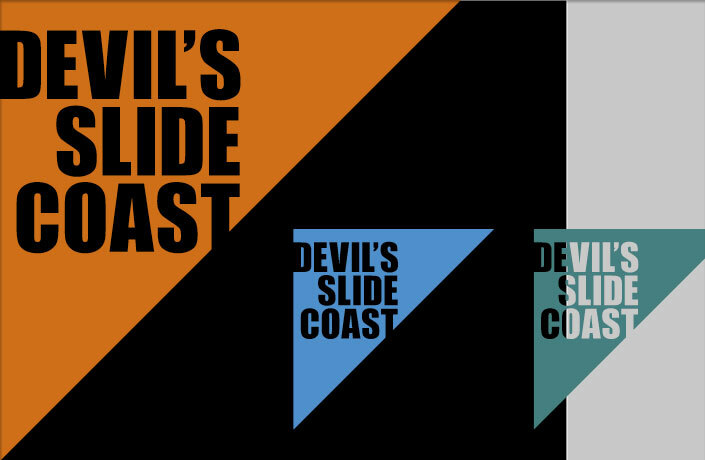 The strong, triangular mark is used with alternating colors and photographic fills, reflecting the dynamism of the place. 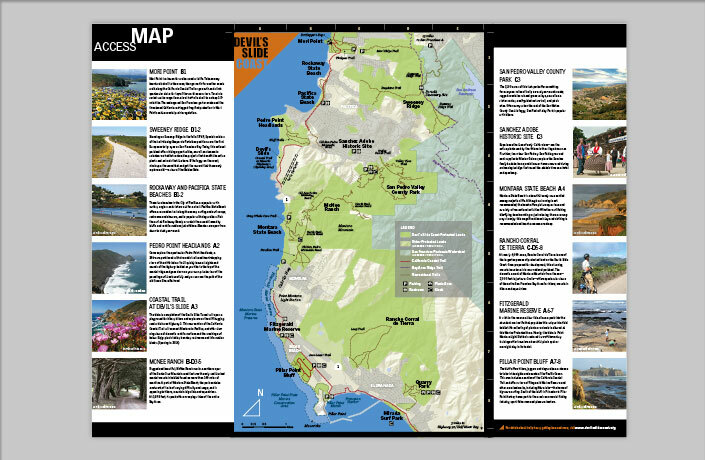 This guide gives visitors an introduction to recreation opportunities in the area and folds out to a map that highlights areas of particular interest.